A reactive approach to calf rearing should and can be changed by any dairy farmer, manager or adviser who is willing to invest and to change previous habits. 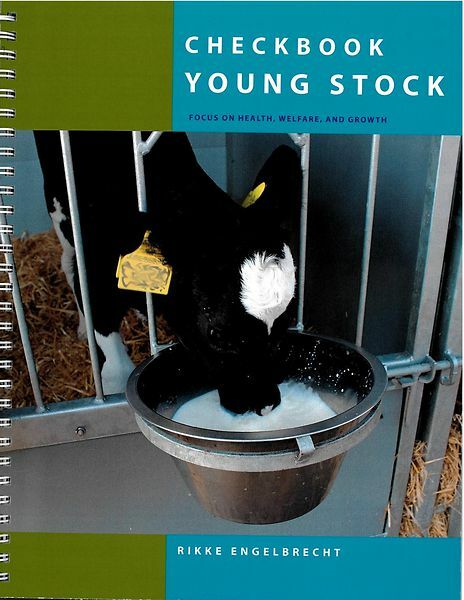 Checkbook Young Stock summarises issues and work tasks in relation to calf management from the early moments when the calf is born all the way to becoming a heifer and until she gives birth herself for the first time. Practical ways of executing tasks on the dairy farm are lined up page by page so that single pages can be used in the area of the dairy farm where plans and standard operating procedures (SOPs) are required. Everything is described in pictures and drawings so text is minimal. The material is made as inspiration for you and your dairy farm and can be used, as a day-to-day troubleshooting assisting tool, as a book for learning, and as an ’eye-opener’ to areas where performance could be improved. SO: On your dairy farm, schedule a plan of how to identify sick calves. The staff caring for calves must be well trained in identifying differences from ‘normal’, which will make the successful raising of your calves a whole lot easier. This can be done during a feeding session or over a cup of coffee - or ideally both. If you are the adviser, you are the one with eyes not looking at routines on a daily basis. A monthly visit or ‘check’ should assist your dairy farms on a long-term basis if only you plan ahead and make a schedule for things.